As promissed in my last blog post I have worked on some other projects and this time I want to speak about my FritzBox which I am using as my modem for my ISP. 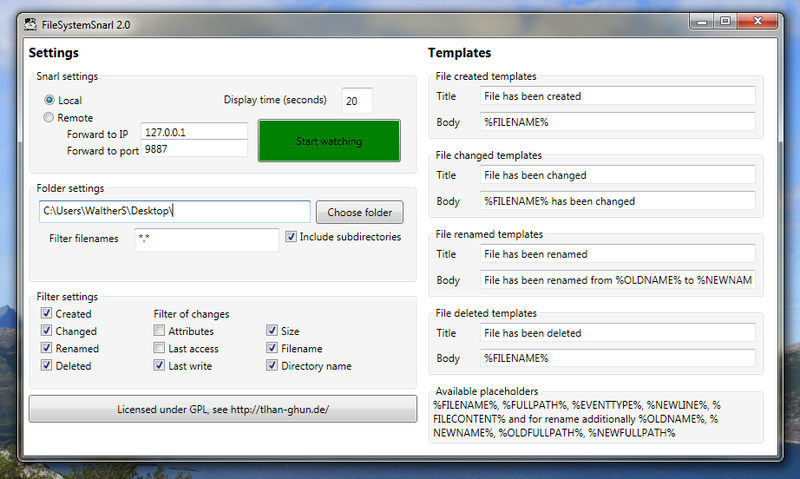 It has many options which also includes some APIs for incoming as well as the option to fully administer it remotely. 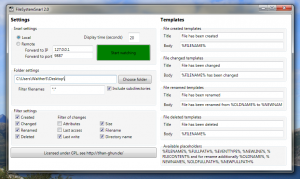 There is a very powerful and widely tool called jAnrufMonitor which I can recommend to you if you want to have a real feature rich client to your box. For myself jAnrufMonitor is not the tool I want to use as it is not very comfortable to use and even worse it depends on a Java installation and it installations tend to fail due to this dependency (to be honest on my Windows 10 64 Bit I did not get it to work even so I read all the (many) FAQs and entries in the forum from people with similar problems. So I decided to give it a try and for those knowing me my first goal was to get notifications using Snarl on incoming call. 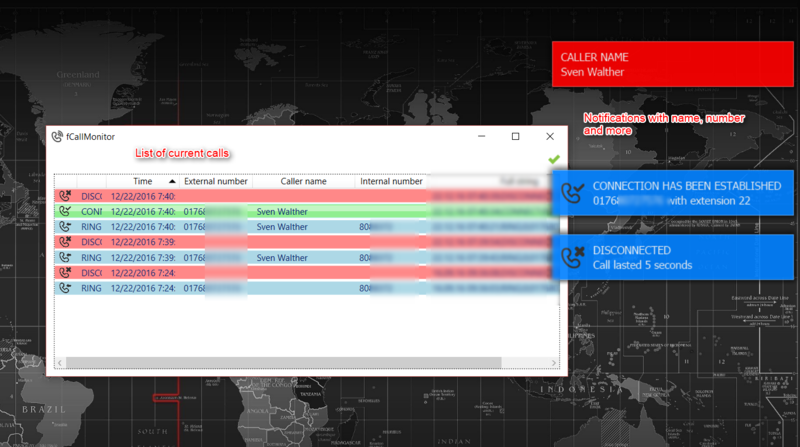 So my first version did exactly this: when the phone rings a notification pops up showing the phone number of the caller (and displaying them in a list window). I am calling it fCallMonitor. 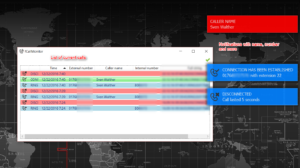 I have used fCallMonitor for some weeks and while it works without problems my own wishes added feature requests to it. The first one was to see who is the person behind the phone number so I added a lookup call to Klicktel (a reverse search engine for at least German phone numbers). Then I noticed that it would make more sense to lookup my own contacts so I added lookups in the Windows contacts and the FritzBox phonebook. 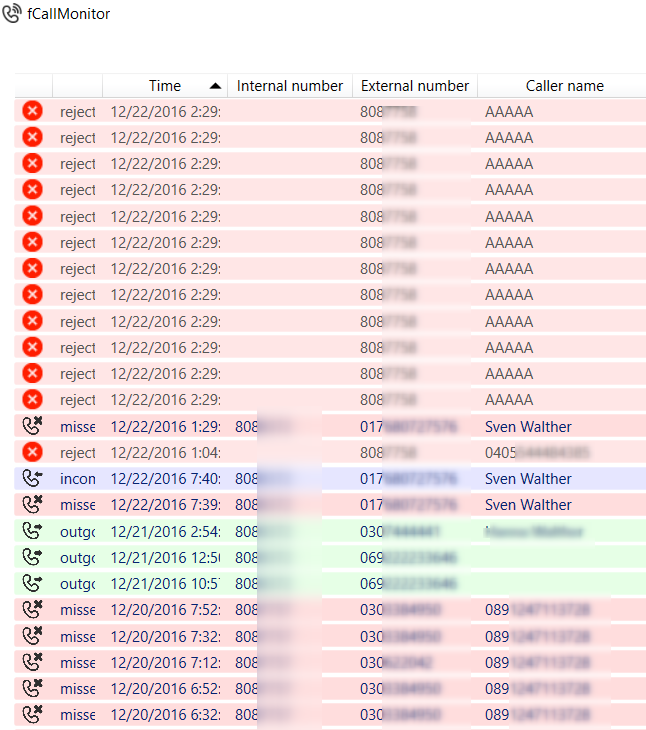 Then two weeks ago I got quite some problems with spam calls (automated dialers every few minutes) so I added an interface to tellows.de which hosts a database of know malicious callers. So now when the phone rings I immediately see the calling number, the name of the caller (if known) and the spam state of the number. In the moment I had completed all this I found another very new tool which has its focus on easy to block numbers in the FritzBlock – so if this you major goal for a tool give FritzBlock a try (even more as Volker is a very nice as we already have discussed each others ideas for future updates). Since this year my main working PC is once again a Windows machine so while not posting any news here I did some small developments for myself the last weeks. 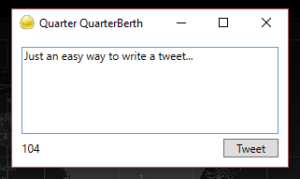 Next to this I added quite some updates in the background which have been introduced since my last Nymphicus release – most important the option to display quoted retweet (see screenshot above) as well as creating quoted retweets. Oh, and I have planned at least to other blog posts here about tools I am working on for myself but which might be interesting for more people than just me. But don’t worry as it is getting a better successor which is called Meneré. In fact Meneré is already available for download at https://www.li-ghun.de/menere/ featuring Fever support and will get Feedly as soon as the API gets public. While Meneré will be paid software (5.99 EUR) I will add all features Desktop Google Reader has today (like unread items, Snarl notifications, sending to various services and so on) to the free version – I promissed you get a new client and you’ll get it – and as promissed for free! The auto update of Desktop Google Reader will then point to Meneré – please don’t feel stressed to pay for Meneré – just do so if you like to support me (or if you you want one of the new features). That said as long as Meneré is lower than version 1.0 (current state: 0.6) all features are available in the free version (to be honest: there is no code for license handling available). 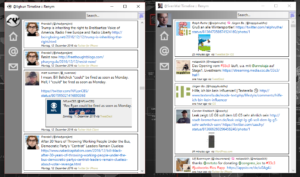 Desktop Google Reader is here and will stay Open Source as well as the new library I am writing for Feedly (and other RSS services) at https://github.com/liGhun/RSSharp – so if anyoine would like to pick up I would offer quite some help. So now I am with the huge community of WordPress users and for my needs it looks like the best current alternative. I hope to have more updates here again now. As you might have noticed the updates to the homepage have decreased over the last week. Main reason is a quite time consuming task I have (and love) to finish in “real world” in the moment so that until second half of September I do not have much time for coding. That said from time to time I find some minutes to make small changes or new ideas – so here what will be available soon. Here we finally are. After some hacker killed my old Drupal website (thanks to my intrusion detection and my iPhone I was able to shut it of within a few minutes so nothing really bad happend) I now have switched tlhan-ghun.de to the new layout and technical basement. Not all looks already as it should finally but step by step I will add the missing parts. Hope you like the new layout.